Hey everyone and happy day after Halloween!!!!! I was going to post this ON Halloween but thought better of it. Nobody is going to be looking on Halloween...people are going to be out and about and doing stuff. Release day would be more fun... why not sit back and peruse the pics to see what you want to buy!!!!! I have a LOT to go over today so the I am going to limit the chit chat and get right to it. 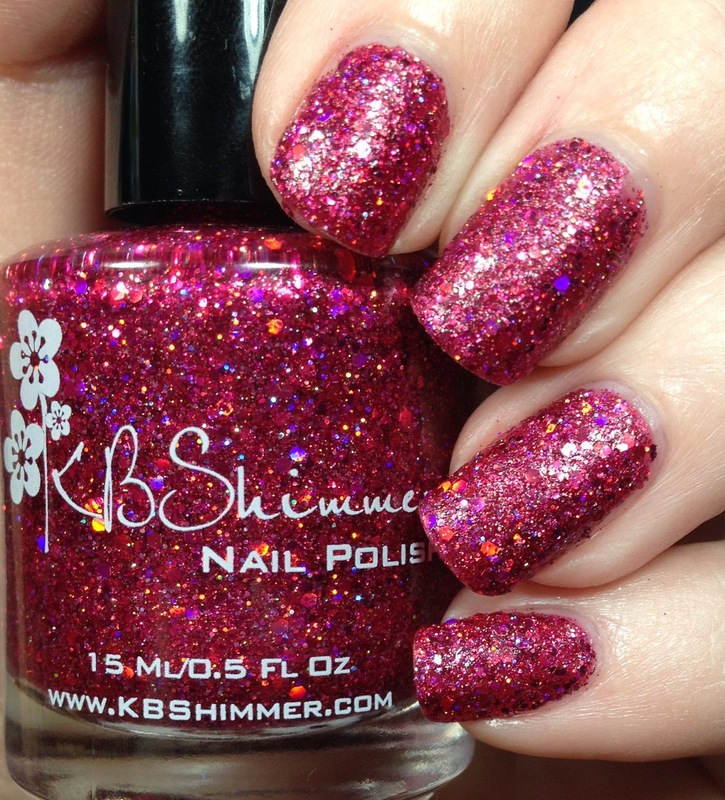 Most of you probable already know that KBShimmer is releasing the newest collection. It is on sale RIGHT NOW and I want to show you 8 of the collection. 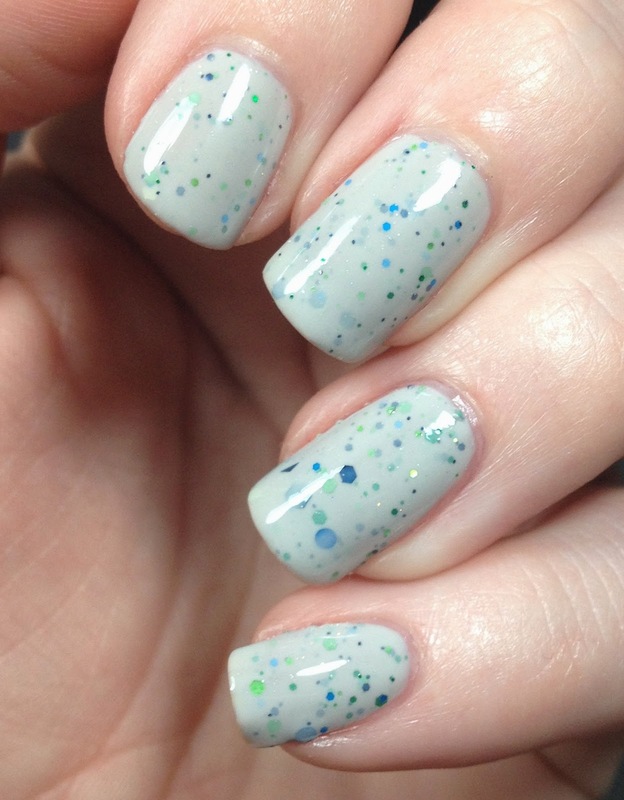 There are 16 polishes in total, with 11 being new and 5 returning favorites. 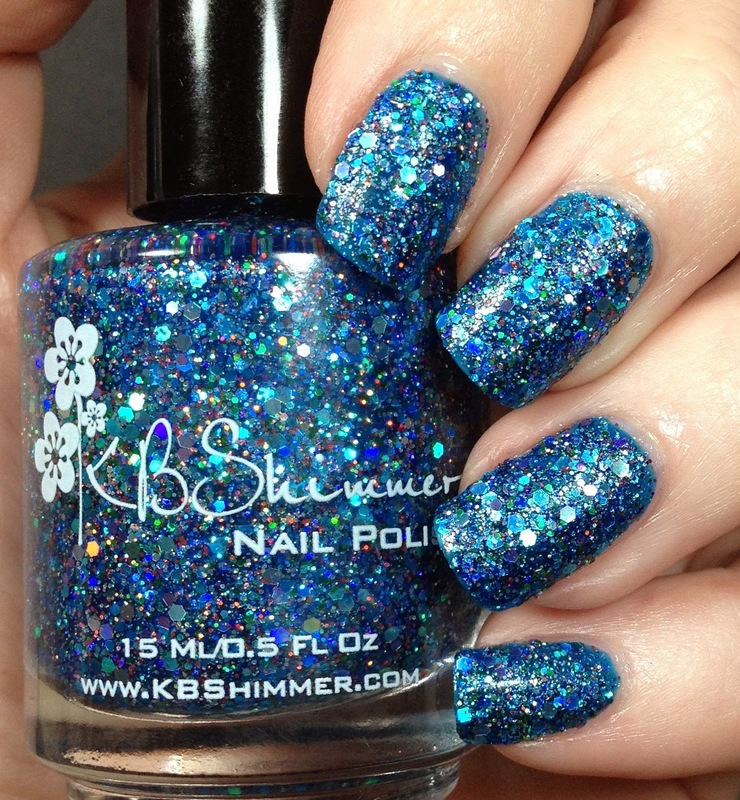 Of those in the collection there are four textured polishes and one outstanding holographic polish. In addition to the polishes there are new cuticle oil pens with new scents like peppermint, raspberry vanilla, chai tea, and even unscented! I received chai tea and raspberry vanilla. I keep one of these with me at all times. The chai tea is a perfect spicy scent and raspberry vanilla is a sweet mix of berries and vanilla. I am so happy there are more scents because I love these pens so much. -Free samples! While supplies last, we will be sending out a sample in each order. Samples may include scrubs, lotions, vinyl nail decals, soaps, etc. Orders will also include a branded emery board. 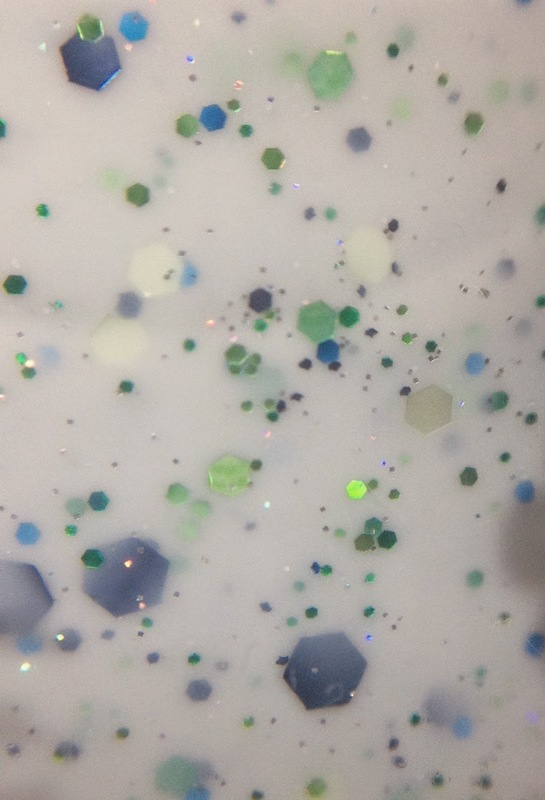 -Free Snowman Glitter! 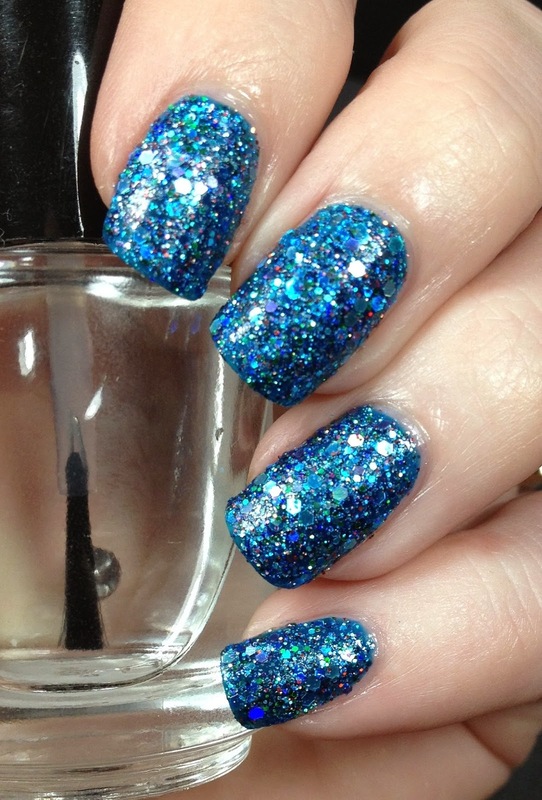 The first 400 orders will receive a bag of 1000 snowmen glitters perfect for winter nail art. Onto the swatches! 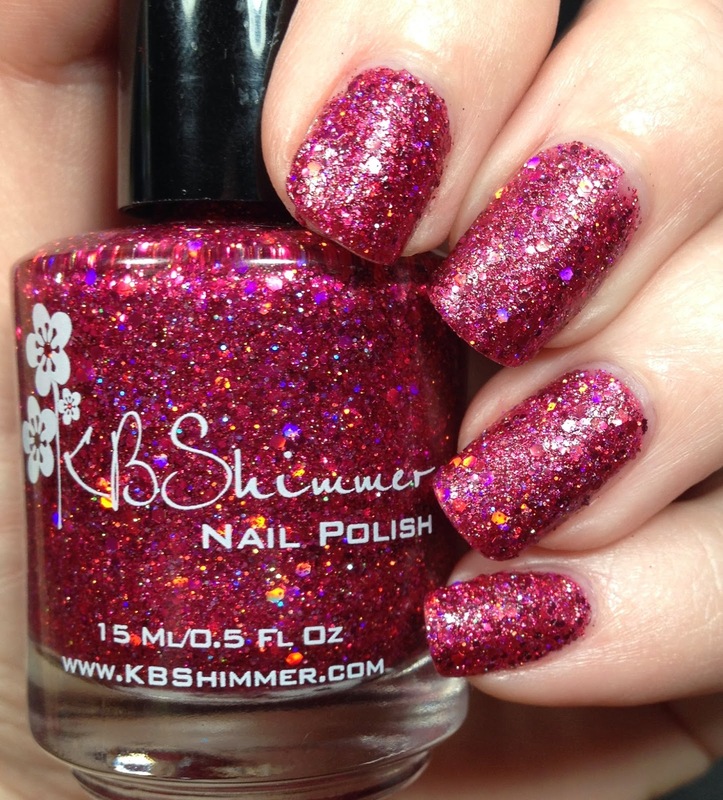 I will be providing you with all of the descriptions straight from KBShimmer. 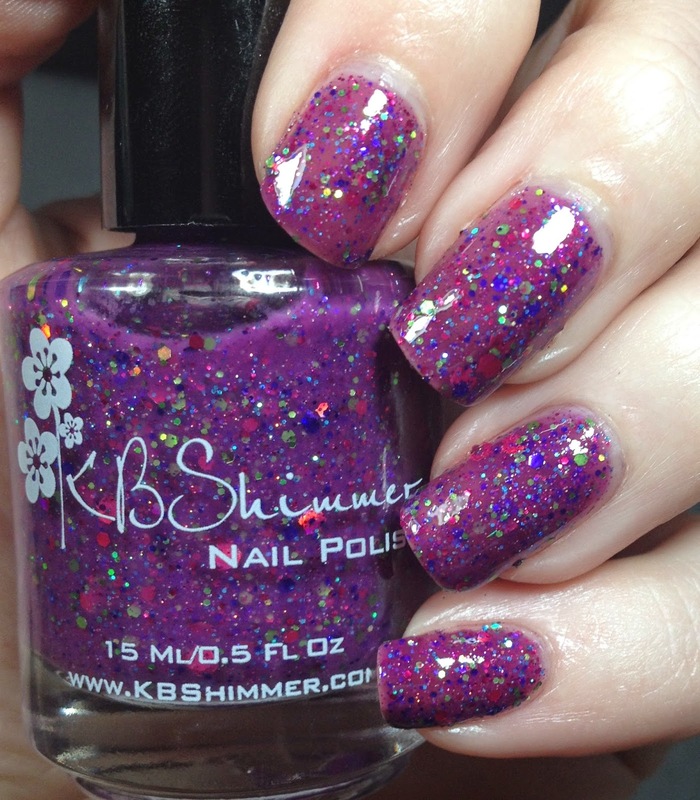 I topped all polishes that have topcoat with Clearly On Top from KBShimmer. Every single polish had a great formula. 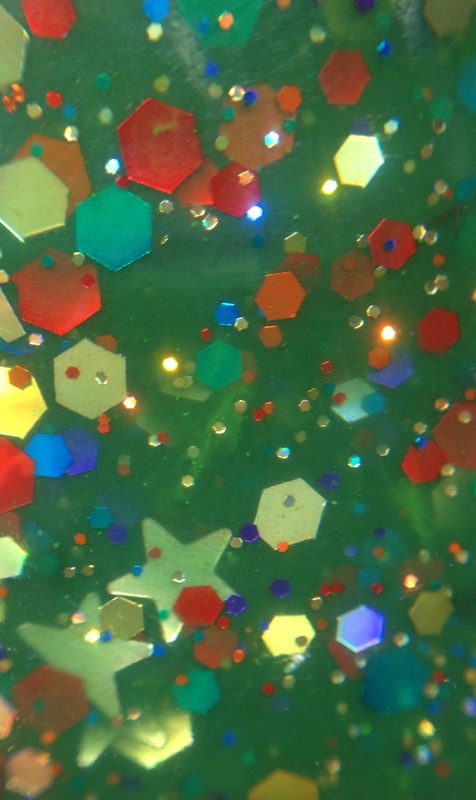 Every single polish I have owned from KBShimmer has had a great formula. Don't know how they manage it but they are perfect all the time. I am going to show you my favorite first. 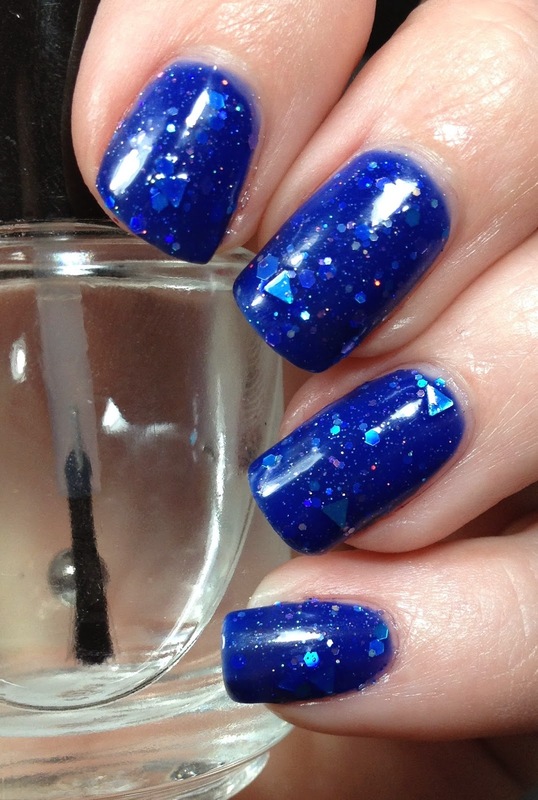 This also appears to be everyones favorite on my Instagram page as it probably has the most likes out of any polish EVER! This is Too Cold To Hold. 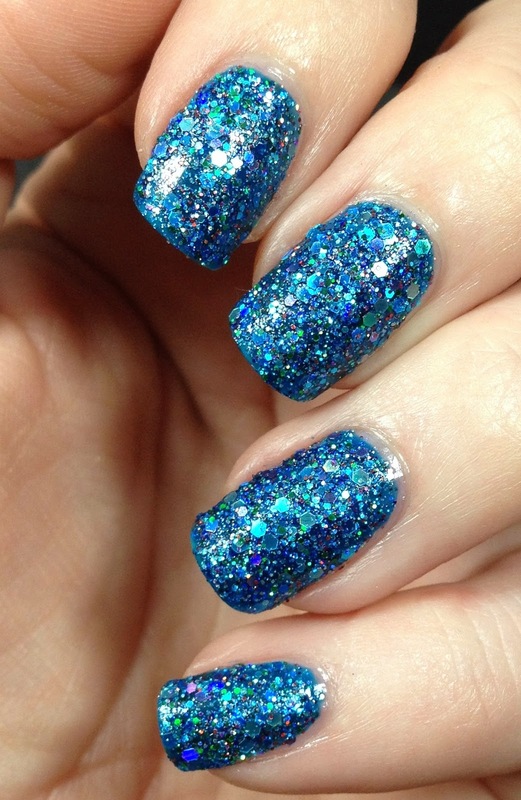 "A rich sapphire blue base filled with holographic silver, blue, and green holographic glitters for a bejeweled textured look". 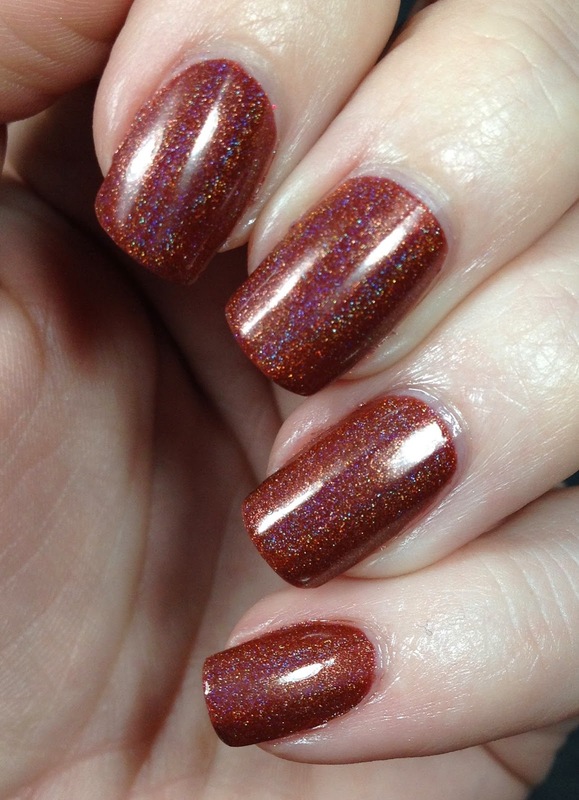 I used two coats here and no topcoat. 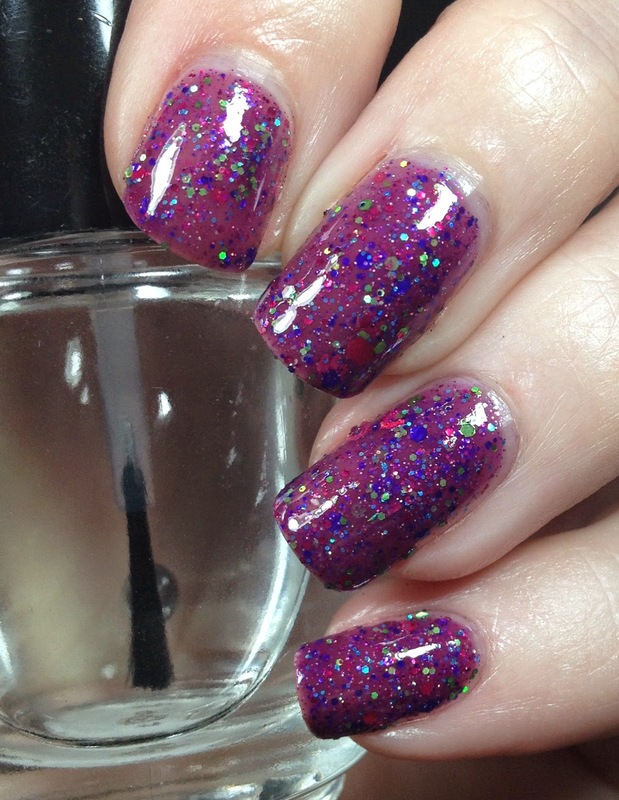 I have the lone holographic polish in the collection, Deja Brew. 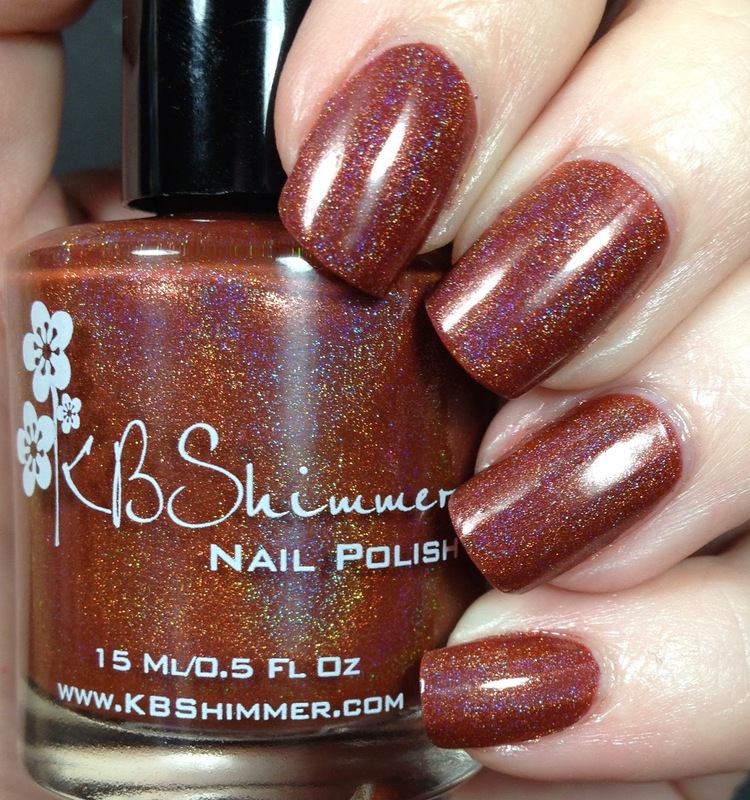 KBShimmer says "Like a rich cup of java, or a quality cognac, this brown polish has red undertones that set off the linear holographic rainbow". 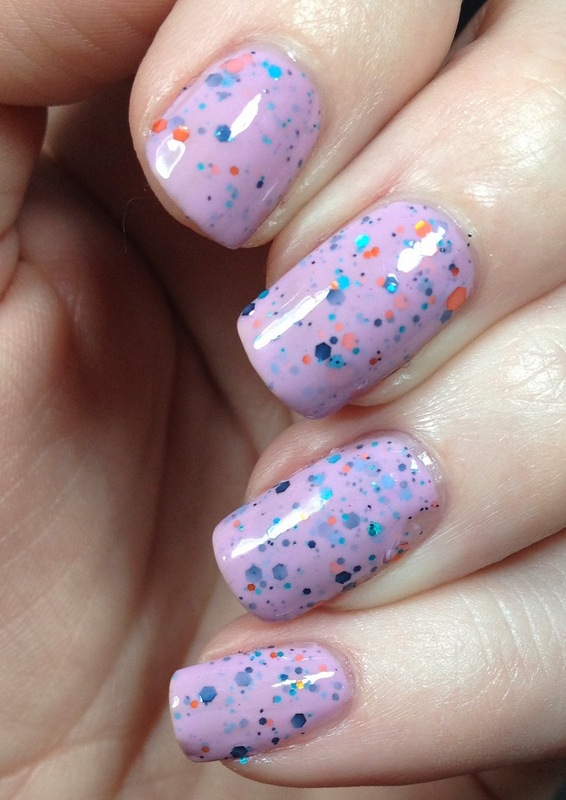 I used two coats and topped with Clearly On Top. 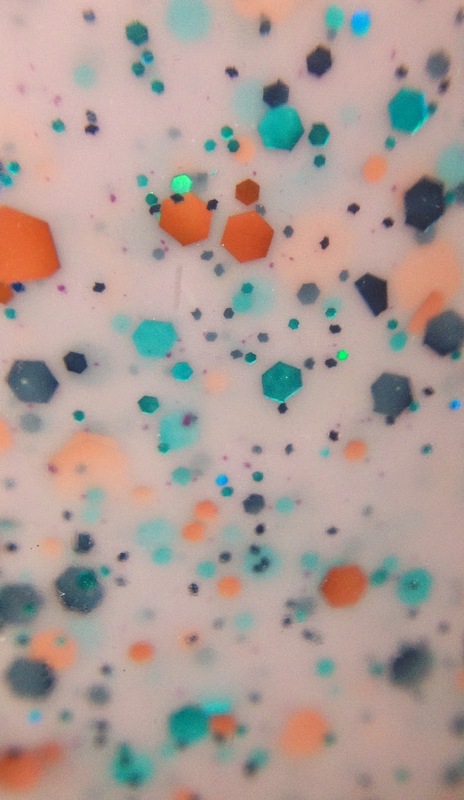 This is Mauve On Over, "a pale mauve crelly base sets off an explosion of colored hexes in orange, navy, and aqua". 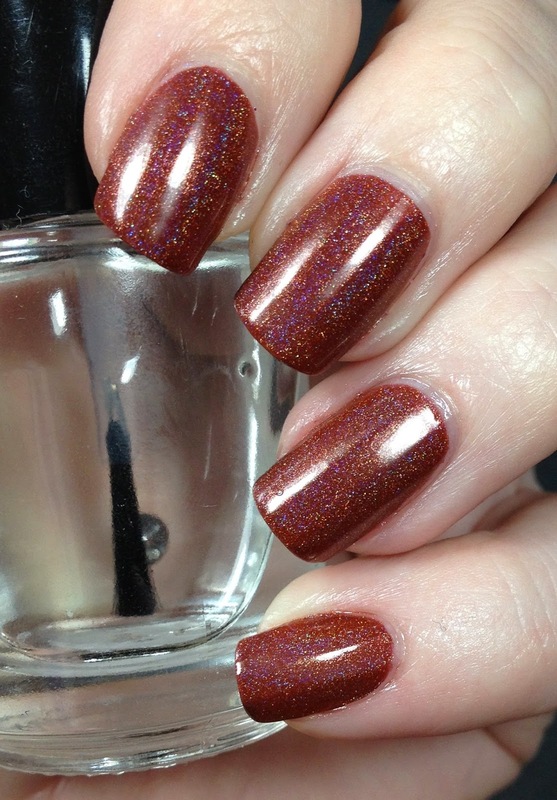 I used three thin coats here topped with Clearly On Top. I am such a sucker for these types of polishes. I knew this one had to be mine! 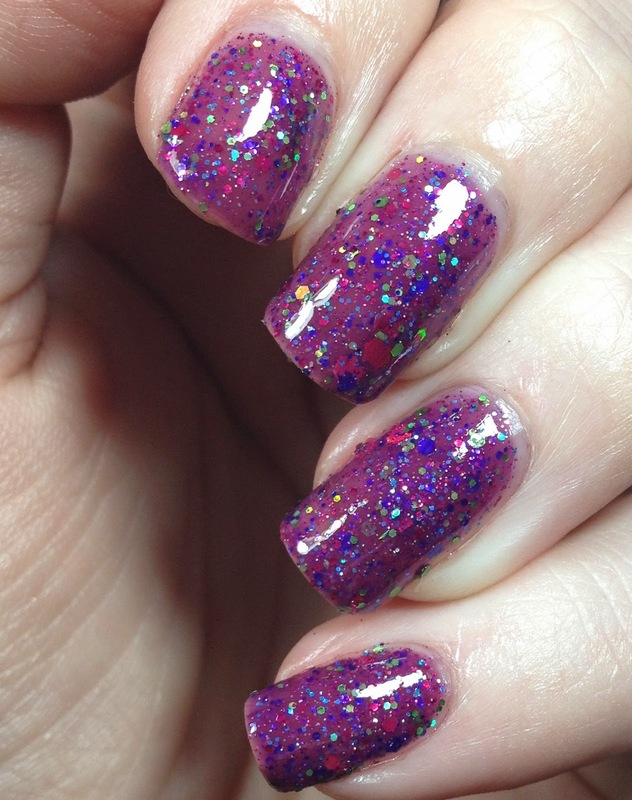 You know I can't pass up a purple polish! 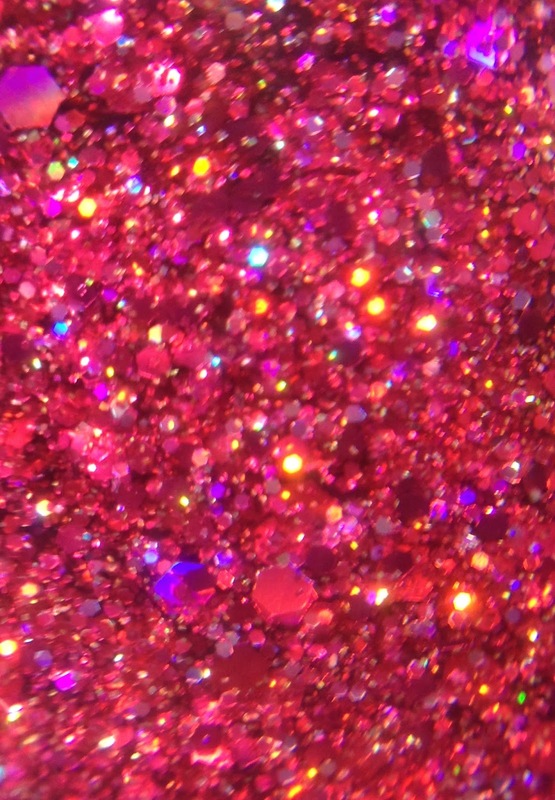 This is Sugar Plum Faerie, which is a returning color, "a soft plum violet crelly with berry, purple, and lime colored metallic holographic glitters in different sizes. 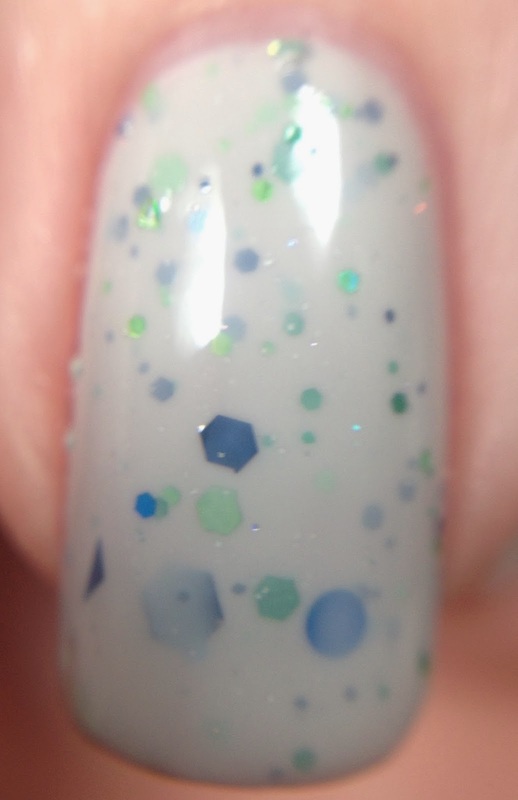 Because it was a light crelly I used three thin coats so there was no visible nail line and I topped it off with Clearly On Top. I have one other returning favorite, All Decked Out. This is like a Christmas tree for your nails. 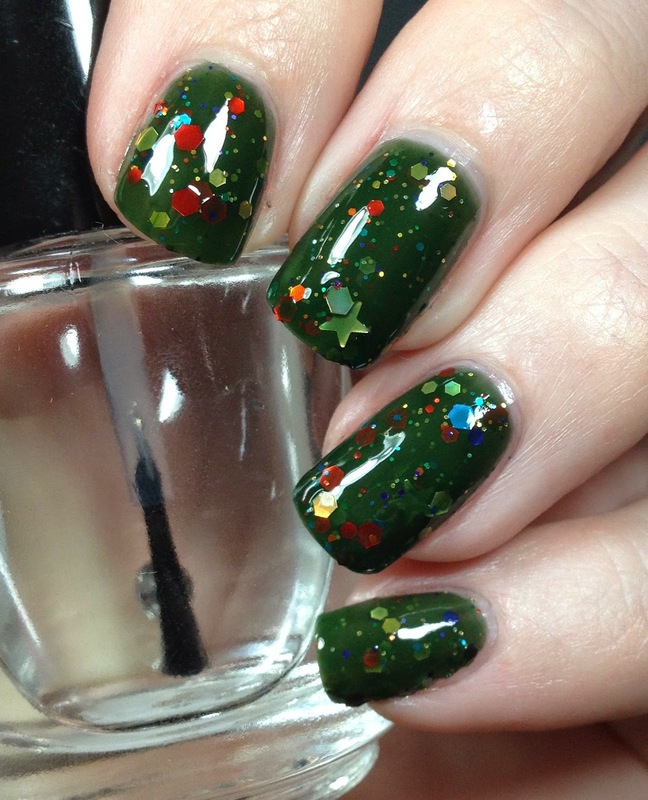 It is "a Christmas tree inspired polish with a deep forest green jelly base with a rainbow of hex glitters and a scattering of gold stars". 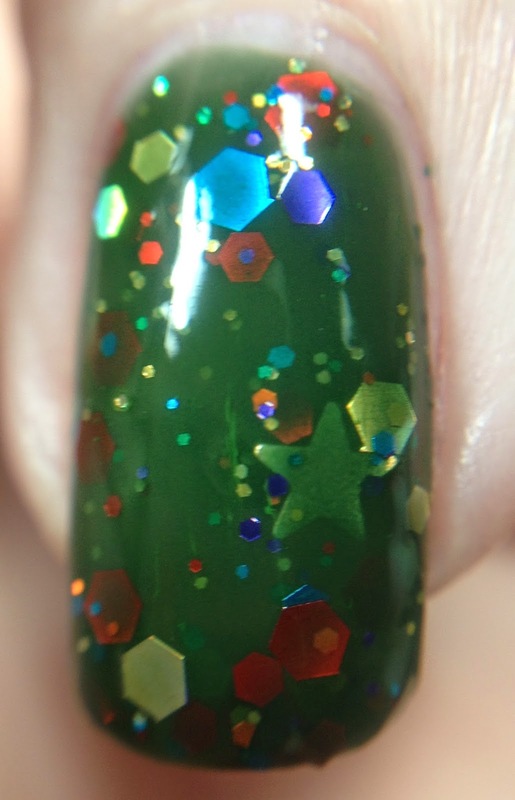 They also provide a note that this polish is not meant to have a ton of stars in it. 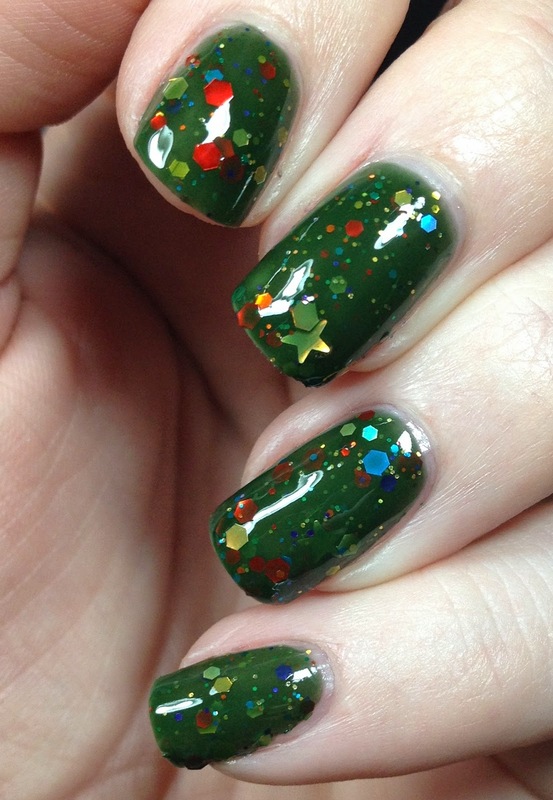 Just like your tree only has one star on top, this polish has some scattered through so you get a few on your nails. 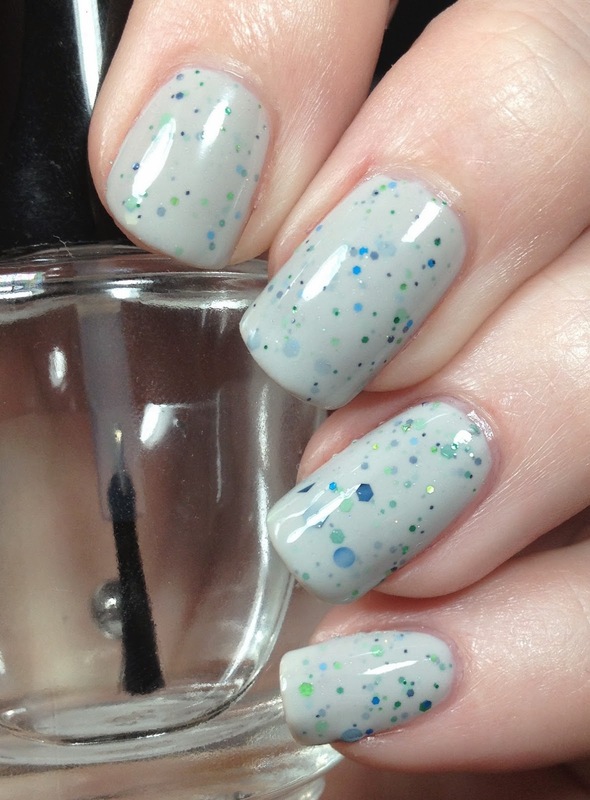 For full opacity here, I used three thin coats topped with Clearly On Top. I have one more textured polish ( I honestly love their textures SO MUCH!). This is Turnip The Beet, I just love these names. So clever! 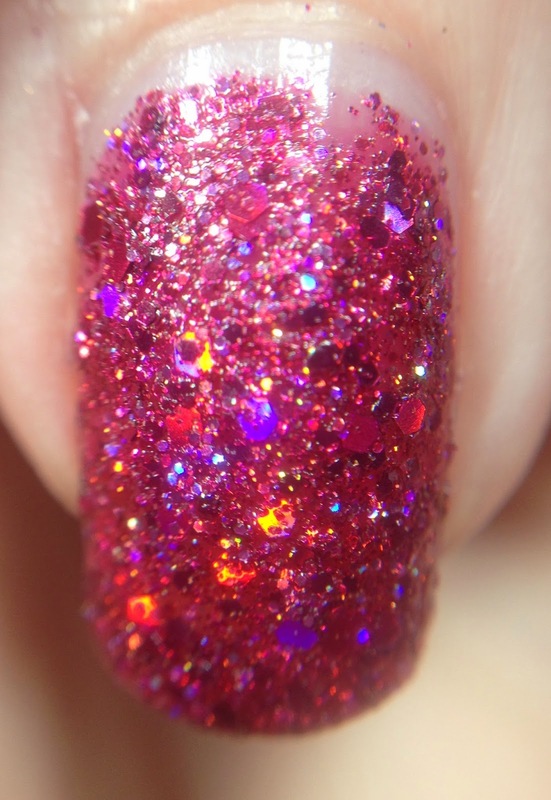 "A rich sangria colored base accents holographic glitters in magenta, purple and red making this a super sparkly textured polish". 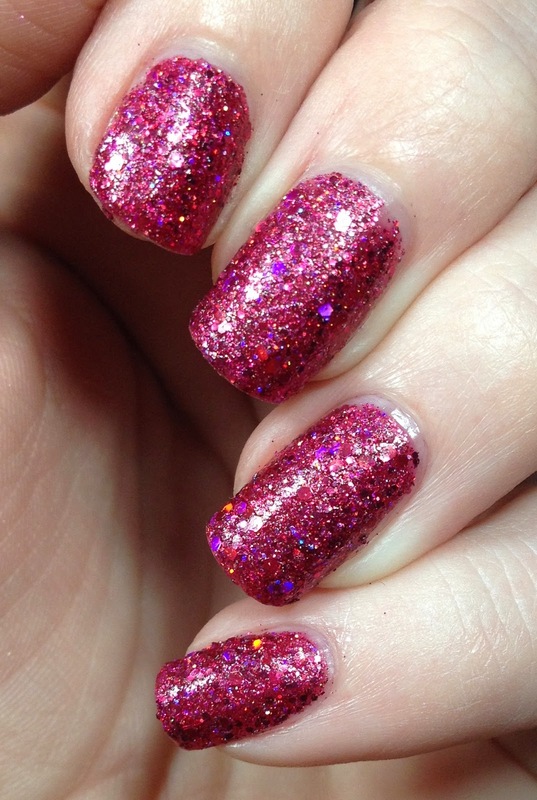 Yep, super sparkly for sure! I only needed two coats for this one! Sadly, this is the last polish I have to show. 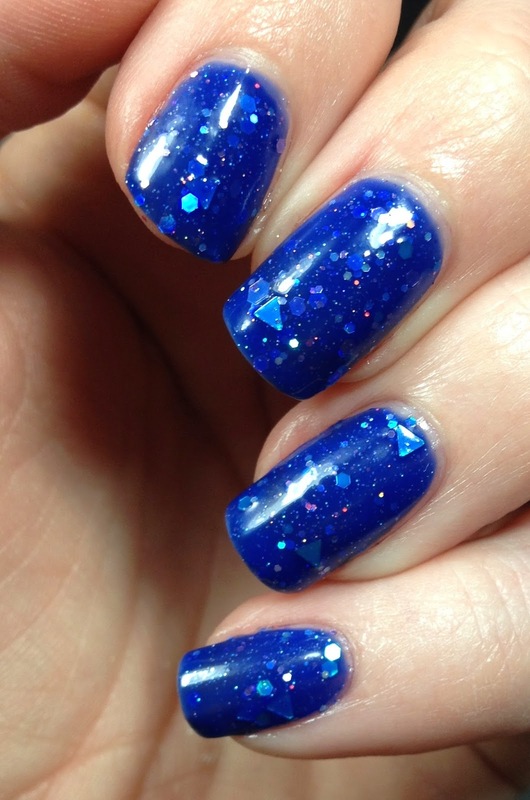 This is Fallen Angle, "a vibrant royal blue jelly, this a-cute polish features holographic blue triangles, silver holo hexes, and blue hex glitters with micro sparkles. 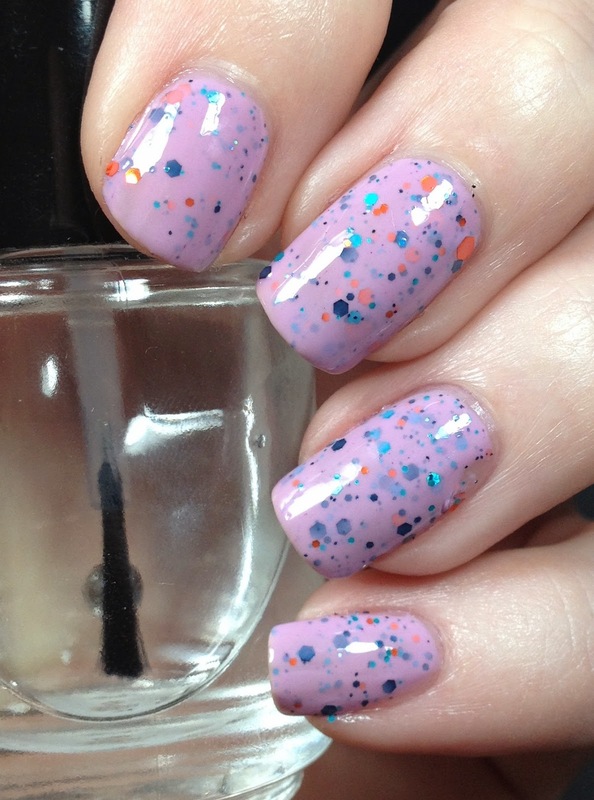 With it being a jelly I used three coats for opacity and topped with Clearly On Top. 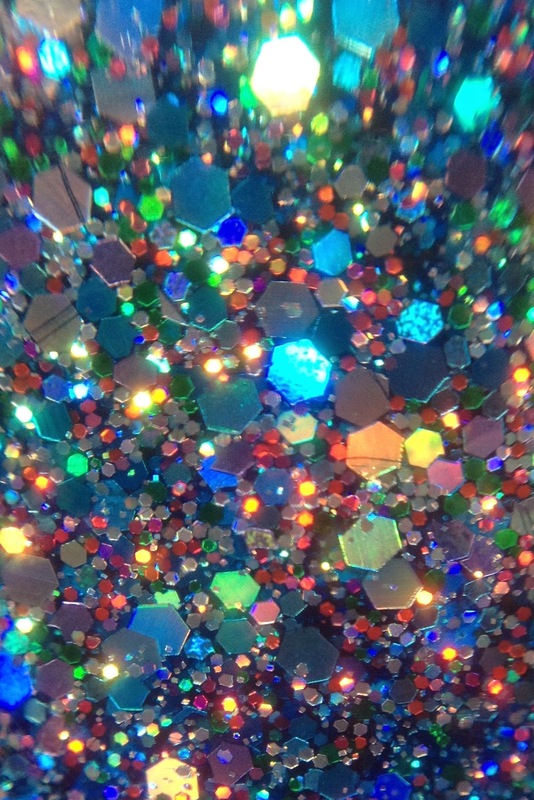 I loved shaped glitters like triangles! Makes a polish so unique to me. 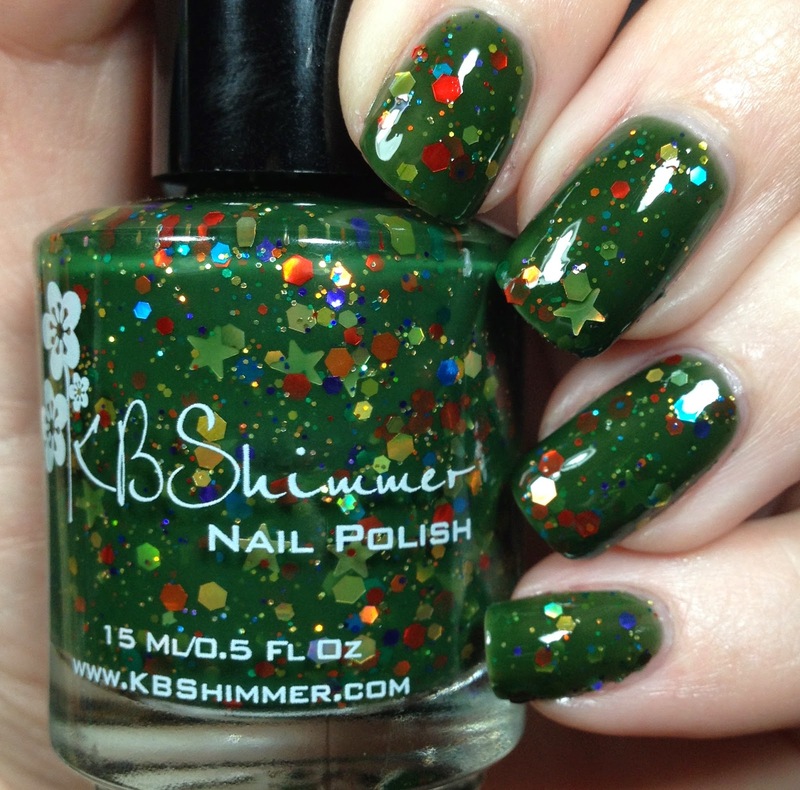 That's it for my review of half of the newest collection from KBShimmer. They are all fabulous and I highly suggest buying as many as you can. They are on sale right now!!!!!! What is your favorite and did you get any? Tell me in the comments!